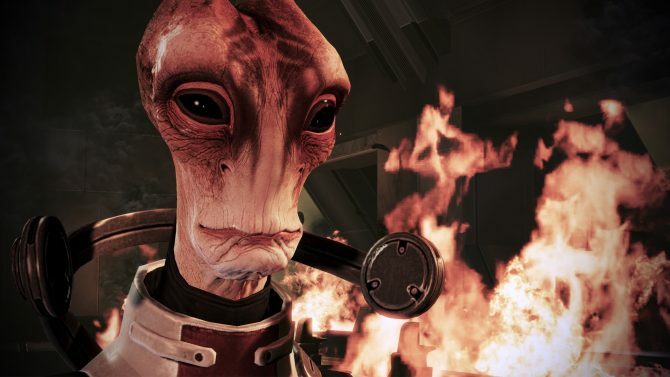 From the very beginning of the Mass Effect franchise, I have played a female Shepherd. It’s ingrained so much in my mind that Shepherd is female that I can hardly picture her as anything else. Yet, apparently strong male space marines are a “thing” and BioWare refuses to put anything but on the covers of those particular games. Until now. 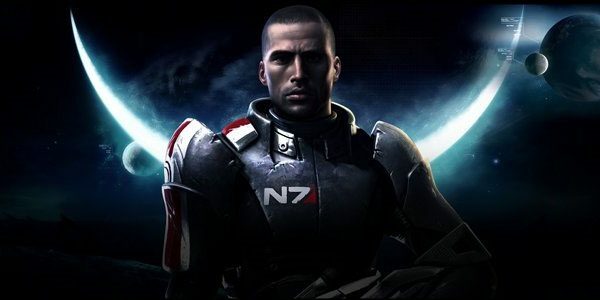 The other day, BioWare’s Director of Marketing tweeted that both male and female Shepherd will show up on the collector’s edition box for Mass Effect 3. Finally, Fem-Shep on a box! What else comes with the collector’s edition? Keep reading to find out. 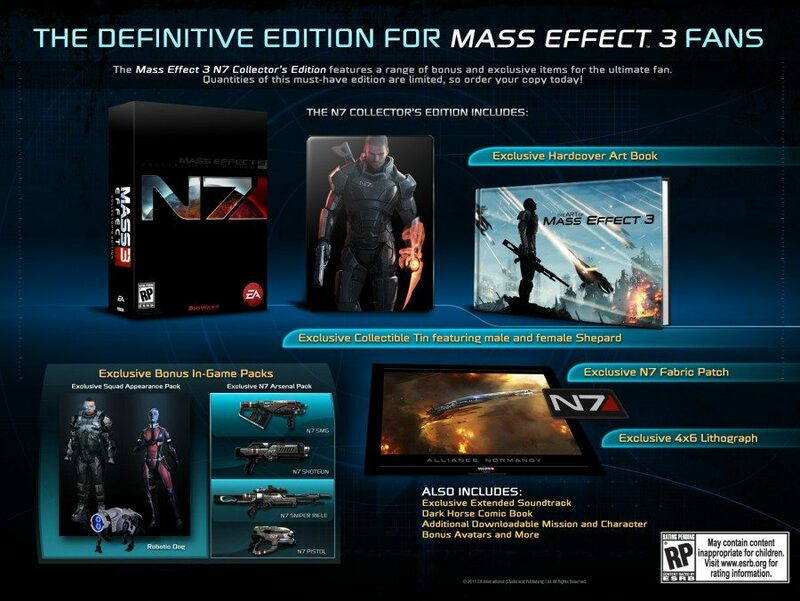 Premium metal case featuring commemorative artwork of both male and female versions of Commander Shepard. 70-page hardbound art book featuring hundreds of unique and gorgeous illustrations from the BioWare development team. Limited edition Mass Effect comic by Dark Horse Comics, complete with unique cover artwork. Join the ranks of the N7 with the premium fabric N7 patch. Exclusive 4×6 lithographic print featuring a one-of-a-kind piece of artwork. A full collection of in-game content that can’t be found anywhere else! N7 Arsenal Pack – Bring the firepower with the N7 Sniper Rifle, Shotgun, SMG, and Pistol. Robotic Dog – A faithful sidekick to keep you company on board the Normandy. 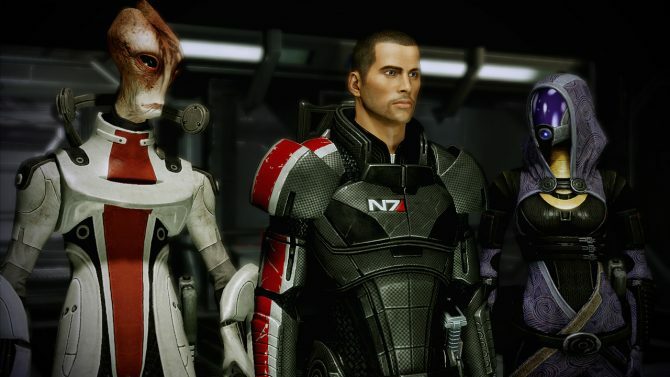 Squadmate Alternate Outfit Pack – New appearances for squad members Ashley, Kaidan, James and Liara. N7 Hoodie – For Commander Shepard’s casual days on board the Normandy. 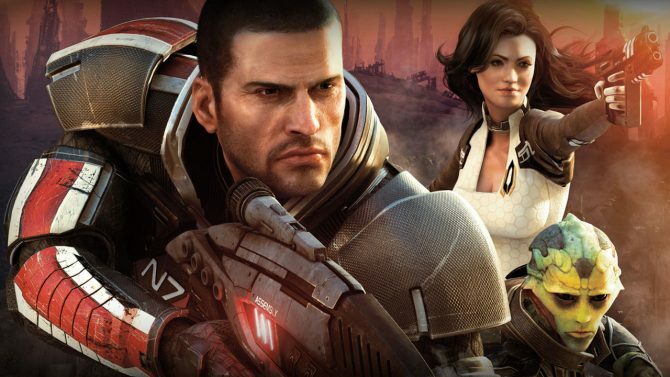 Relive all the greatest moments of Mass Effect 3 with the digital soundtrack. Display your initiation in the N7 ranks with a collection of forum and social badges, avatars, and perks. Did you see that? You get a frakking HOODIE in this CE. How cool is that? Cool enough, in fact, that I completely will forget that they’re also giving you a robotic dog. What is this, Fable? I don’t think so. This whole bundle will run you a pricy $79.99 and will be available in limited quantities. But hey, you get a HOODIE!